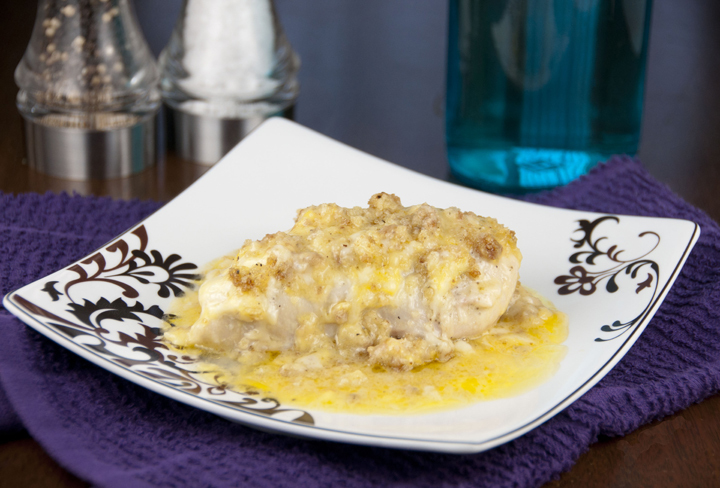 Swiss Chicken recipe in white wine sauce with creamy soup is coated with the smooth, slightly sweet tang of melted Swiss cheese and topped with buttered stuffing. Happy Monday! I hope you all had a great weekend. Mr. Wishes and I enjoyed our last weekend of non-craziness before the rest of the month of August inevitably flies by because of the insane amount of things we have planned…..birthdays, weddings, out-of-town guest visits….the list goes on! All good things, of course. I have a great dinner idea to share with you today. This was such an easy recipe to make and it calls for more “standard” ingredients that you probably already have in your kitchen, which is always nice for all of you non-planners like myself. It is one of those go-to meals on a busy night where you want/need a home made dinner but don’t have time to go shopping for weird ingredients or cook all night. This meal smelled fabulous coming out of the oven, and tasted even better. The chicken was moist and delicious and the wine and swiss cheese make this really good. Serve it with rice or vegetable and you have yourself a home-cooked meal the entire family will love. Perfect comfort food. Make it now, thank me later. Add the chicken to a shallow buttered casserole and season with salt and pepper, to taste. In a medium bowl, add the soup and the wine, season with salt and pepper and pour over the cheese. Sprinkle stuffing mix on top and drizzle with a little more melted butter, if desired. Bake for 45 minutes (might take a little longer depending on thickness of your chicken breasts). Remove from the oven and serve. I bet your house smelled wonderful with this in the oven for 45 minutes! This chicken sounds incredible Ashley! I cannot believe we have 5 more months till Christmas! It looks devine: perfect for Sunday lunch! This is absolutely my kind of dinner! I adore it! One word – YUM! This is comfort food at it’s finest. And I love that it doesn’t have a lot of complicated ingredients! With the weather we’ve been having around here lately, comfort foods are where it’s at! I love cheese filled foods! 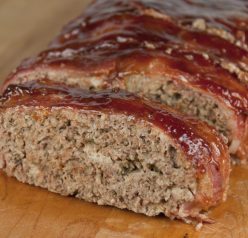 This is a classic and the herbed stuffing mix really makes it special! Any recipe that involves melty cheese is a winner in my book! oh yes I could 100% get used to eating this tastiness for dinner! White wine sauce is my favorite!! What a fun recipe!! I love chicken! It is just so filling and delicious and yet so versatile!! Great recipe! Hope that you have a great week!! Mmmmm this is my kind of meal! I love these simple comfort food recipes! Gimmie some! I simply can not wait to try this recipe. I love prepared stuffing and chicken dishes. Nothing better for a quick and easy weeknight dinner. Thanks for sharing this awesome recipe. This looks amazing! Easy comfort food is the BEST! My kids love luscious chicken recipes like this. I love the white wine sauce!! Nothing like cheesy comfort food! mmmmm… swiss cheese is so underrated. love the idea of smothering chicken with it! This looks like the perfect comfort food Ashley! Yum! 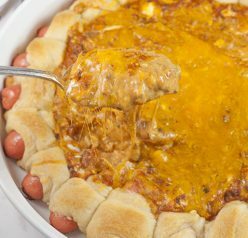 I am crazy for comfort food and this dish looks delicious! I love swiss chicken and that white wine sauce sounds so delicious! I bet the chicken is super tender and moist too! 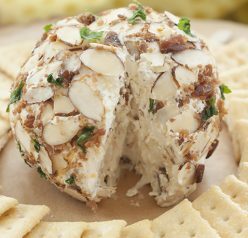 This looks wonderful, cheesy comfort goodness! Sounds like the perfect comfort meal dinner. Total comfort food for a great dinner! This will become a Fall favorite for us for sure! This sounds delightful! In white wine sauce, you speaking my language! Looks wonderful! I am always looking for new chicken recipes. Thank you for sharing this recipe. 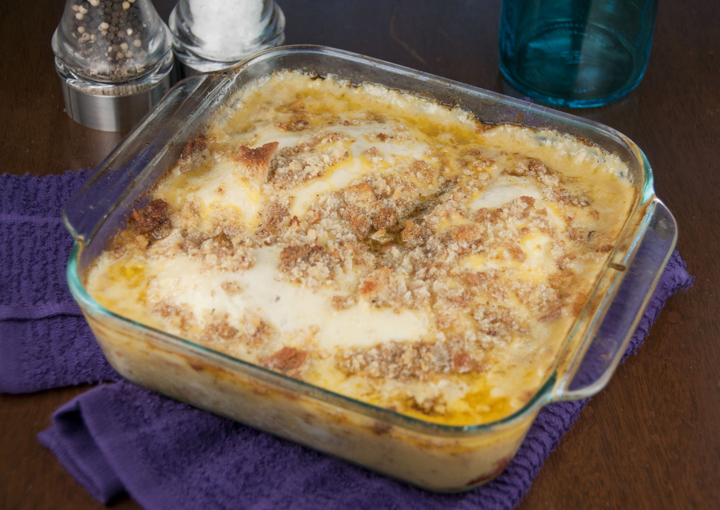 My goodness – this chicken dish looks really delicious…white wine and swiss cheese is such a great combo! I used to really like this, haven’t made it in ages! You know what, i just seach a recipe for swiss style chicken with leftove white wine and i’m stumble uopn your post here, glad i found your recipe Ashley!!! What kind of white wine would one use ? And also what kind of stuffing ? The bag or stove top? Thank you. What about the wine? Oh sorry about that! Any white wine that is great to drink would work well in this recipe. This will make the dish turn out the best it can be. I wouldn’t use the cooking wine or supermarket wine. You can always use chicken stock in place of the wine if you want to. I do think the wine gives it a great flavor though! I used a Chardonnay the last time I made it but have used different kinds, as well. Thanks again Ashley. I can’t wait to try it. I think I will try Moscato since that’s what I have at home. Sounds great! Thank you for stopping by 🙂 Enjoy! I bought cooking wine. It didn’t say what type to use. And I didn’t want to buy a bottle of wine bc it’ll just go to waste bc I don’t drink wine and neither does anyone in my family except my gma but she lives in a different state. Will it taste gross if I use the cooking wine bc that’s what I bought and i don’t have any chicken stock nor any money. So what do I do now? I’m a very picky person too. I just didn’t want to serve my family something disgusting if I used the wrong stuff. So since im using cooking wine should I use the same amount or less? And I probably won’t use the extra salt to put on the chicken for taste since ethereal cooking wine is already salty. I’d prob just use a dash. I would leave everything the same except less salt. You can always add it in the end if it needed more! It’s a Paula Deen recipe and I did research it a little and saw people used Cooking wine with no problem! My chicken is still pink after 45 minutes in the oven. So I upped the degree to 400 and cooking it for another 15 minutes. Other then then the chicken not being done it’s pretty good. I am making this tomorrow. I am going to use crushed flavored croutons instead of the stuffing because that’s what I have on hand. I have been making this Paula Dean chicken recipe for years. I use Pepper ridge Farm stuffing. I have always been told to use a good wine for cooking… Same wine that you would drink. I don’t drink wine but I buy the small 6 packs of Chardonnay”Wood bridge”. It works well and then I have wine on hand for company and other recipes. This dish is always a big hit!! Wondering what the nutritional values are?